Supporting Indigenous students and Indigenous health research. 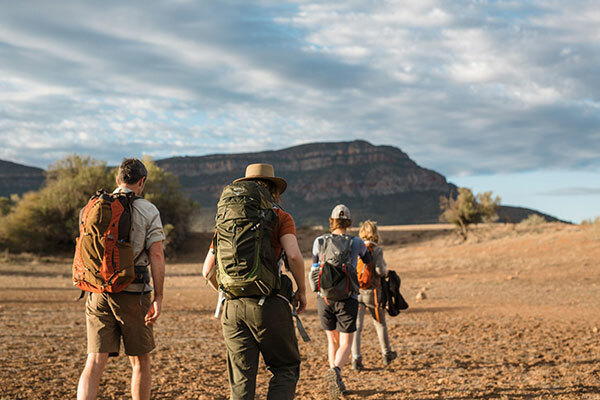 In September 2019, thirty volunteer trekkers will take one week to trek 100km of the arid South Australian outback. Together they will aim to raise over $100,000 needed to support generational change through Indigenous education and health research. Much like the 2017 Larapinta Trail Challenge the outcomes will be life-changing for Indigenous Australians. 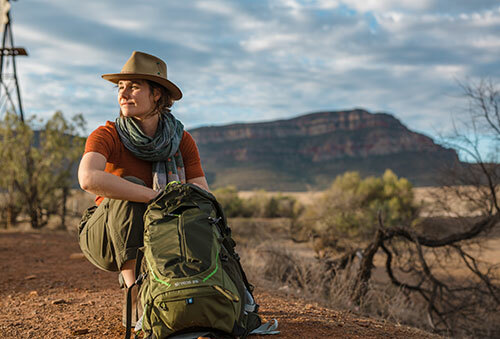 With support from more than 950 donors, $152,432 was raised to fund fifteen Larapinta Trail Challenge Indigenous undergraduate scholarships over 2018 – 2020, three PhD Scholarships for emerging Indigenous leaders and two incredible research projects: MAMAS –Empowering Health App for Indigenous mothers, and Improving foot health outcomes for Aboriginal Australians with diabetes. Register to be part of the 2019 Ikara - Flinders Ranges Challenge and find out more about costs and the itinerary. View the latest updates on the Ikara - Flinders Ranges Challenge including fundraising tips, fitness guides and recent news. 77 ? 77 Indigenous staff members - the second highest number of Indigenous staff of any university in Australia. The University of Newcastle would like to acknowledge the traditional custodians of the land - The Adnyamathanha People, who have permitted tourists to visit the area. We also acknowledge the traditional Aboriginal owners of the lands within the footprint areas of our campuses: Awabakal Nation, Darkinjung Nation, Biripi Nation, Worimi Nation and Wonnarua Nation. Ikara-Flinders Ranges National Park has a rich and complex cultural heritage combining Aboriginal and pastoral history. The park is co-managed by a board consisting of Adnyamathanha and Department of Environment, Water and Natural Resources representatives. The Adnyamathanha people (meaning hills or rock people) are the traditional custodians of the Ikara-Flinders Ranges National Park.